So, you know which brush you use for your foundation and which one to use for your eyebrows. You must know giving these guys a thorough clean should also be a part of your routine right? 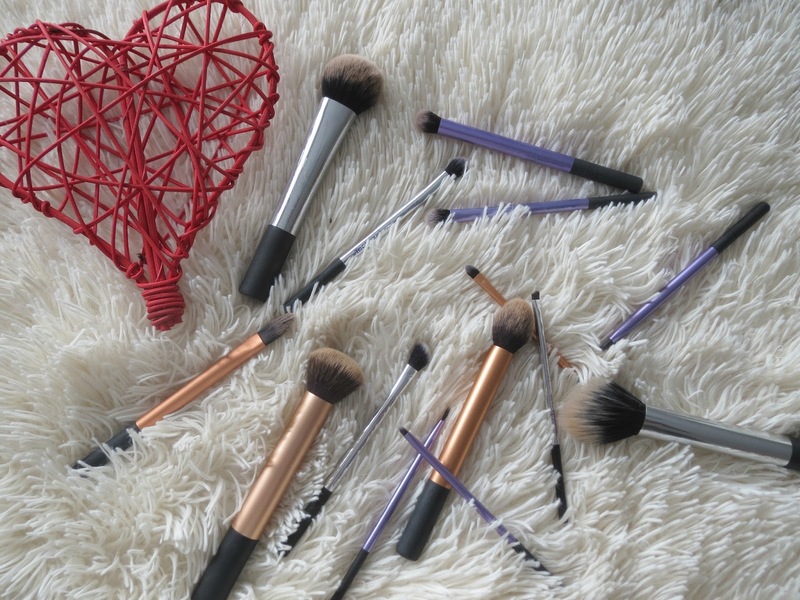 The more product you use on your makeup brushes; the more coarse and brittle the bristles become. All the makeup and dirt can eventually build up. Subsequently, your skin will suffer from irritation and will cause breakouts. Dirty brushes are a breeding ground for bacteria especially if it's left out in the open which is how I store mine. It is better to steer clear from filthy brushes and clean them as frequently as possible. Thankfully, cleaning them can be a breeze as you get used to it. You certainly don't need any fancy, expensive products. 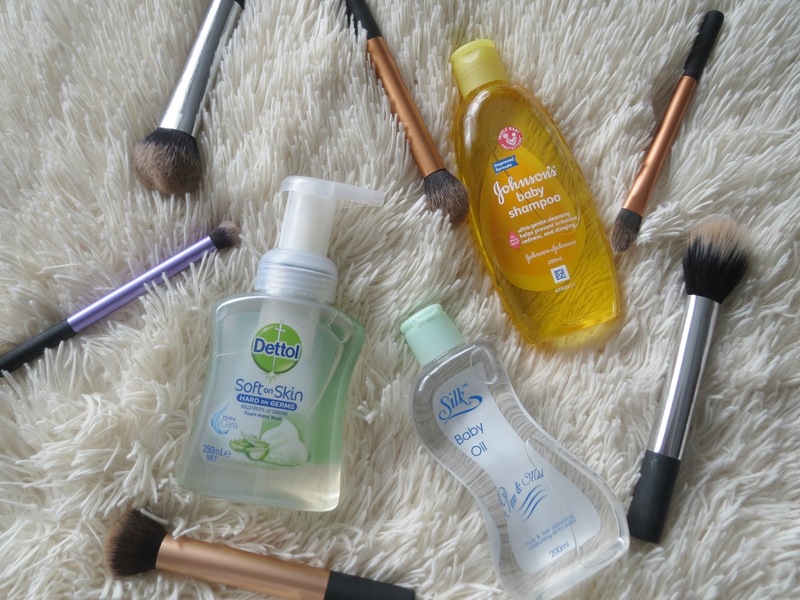 Most of the products you need will be lying around the house or you can pick these up at a local supermarket. Begin by grabbing your tissue paper and pouring a coin size amount of baby oil onto it. I like to fold up my tissue paper so I get more use out of it. 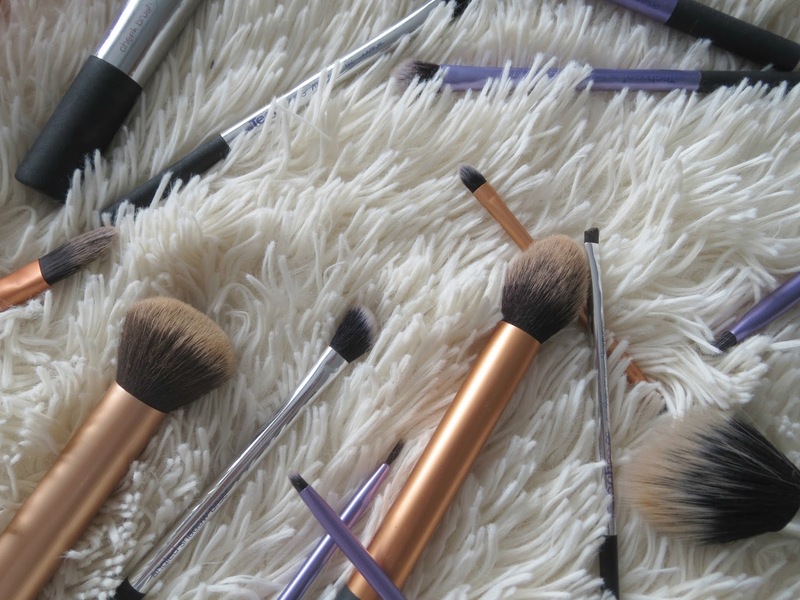 Take your brush and swirl it over the oil so all the makeup and dirt comes off. You'll be amazed as to how much dirt brushes can collect. Fill up a bowl with luke warm water and put a little bit of Dettol hand-wash liquid in. I couldn't find the normal one so I ended up buying the foaming wash. I do like to mix this up so the Dettol dissolves a little with the water. Try to add just enough water that it doesn't reach the point where the bristles meet the head of the brush. This will avoid shedding over time. 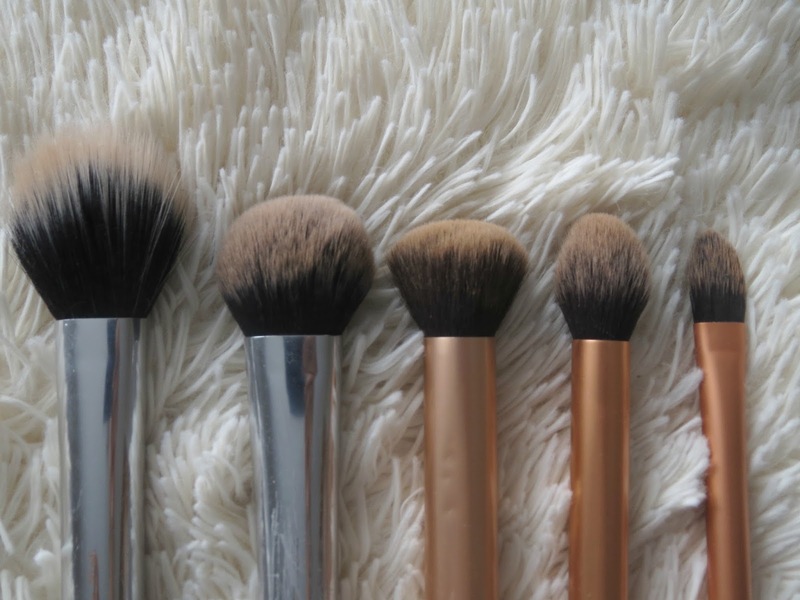 Leave the brushes in the water for 5-10 minutes or until you can see most of the makeup has come off the brush. For this next step - take one brush at a time. Rinse it under luke warm water again. Pour some baby shampoo onto the palm of your hand. Remember: a little bit goes a long way. 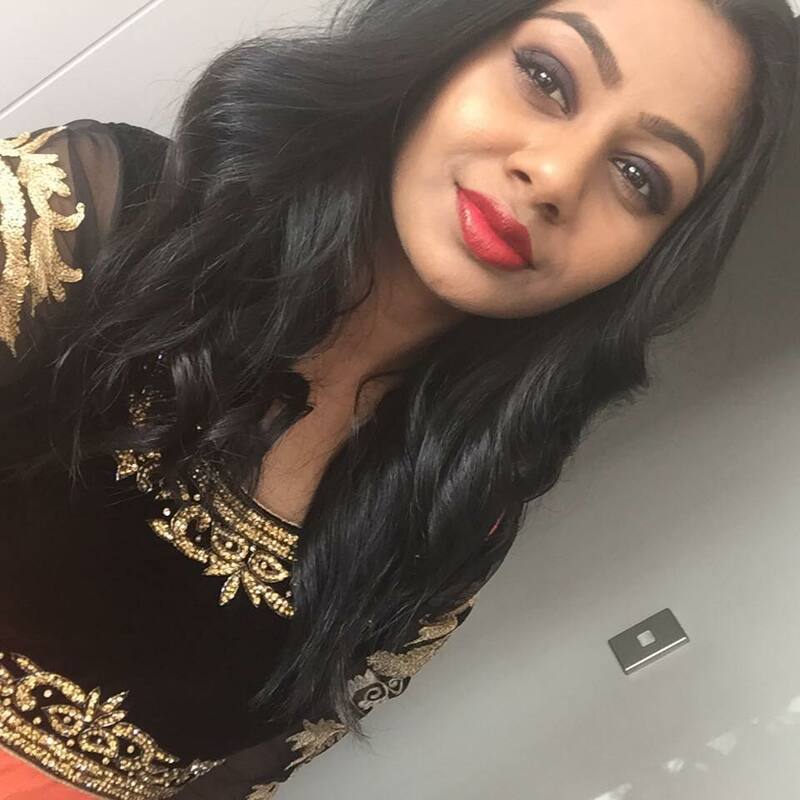 Swirl the makeup brush on the shampoo and let it do it's job. I like to wash the brush out for about 30 seconds to a minute. The last and final step is to take a paper towel or a cloth and dry out the brushes as you wash them. You can lay them flat but I like to raise the back so they sit on an angle. This makes sure all the water flows out to the bristles rather then staying in the head. Let them dry over night. Hope you guys found this post helpful. What are your tips and tricks?